With 336 rooms of numerous formats to choose from, our guests are spoilt for choice. All rooms are elegantly designed, richly- appointed and highly functional with a host of modern amenities and facilities to ensure you enjoy every aspect of your stay. 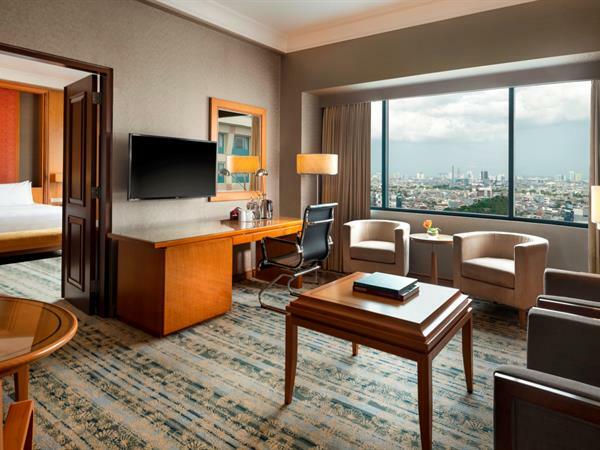 From 2 persons deluxe rooms through to the pinnacle of luxury, our presidential suites, there's a selection of our best hotel room in Jakarta. Start with our luxuriously furnished 27 square meter double-occupancy room that comes with our entire range of complimentary perks. Choose from rooms with a single bed, a double bed or twin single beds, with a thrilling view of the city. Stretch out in our Grand Deluxe rooms that boast 32 square meters of space and our entire range of complimentary perks. Choose from single or double king-sized bed for maximum comfort while you sleep. Rooms come with a calming view of the pool. As if being a guest in one of our beautifully appointed Executive Rooms wasn’t enough, you will also enjoy complimentary access to the exclusive Executive Lounge, which offers luxurious privacy, a continental breakfast, and complimentary house wines and/or cocktails between 18:00-20:00 daily. 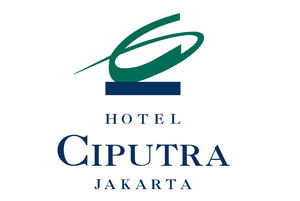 Also available to Executive Room guests is a free laundry service – 2 pieces of clothing per day. For the discerning guest who enjoys the fullness of time relaxing in the privacy of their room, our Suites offer a spacious living room with lounge and dining table to make you feel right at home. Beautifully appointed rooms where guests receive those little extra attentions, including Welcome Drinks on arrival, complimentary access to the Executive Lounge and free house wines and cocktails served between 6pm and 8pm daily. Simply the best of the best! The Presidential Suite is 82 square meters of luxury, equipped with the full range of first class amenities and you can choose from either a single or double king-sized bed for maximum comfort.